Default Folder X 4.4.9 is available, providing a couple of new features and an important bug-fix as well. First the unpleasant stuff: A bug in previous versions of Default Folder X could cause crashes in other applications if they asked OS X to open an http URL using particular APIs. This caused Karelia’s Sandvox to crash, among others. This is fixed in version 4.4.9, so get the update – really. Install version Default Folder X 4.4.9. Run System Preferences and click on Keyboard. Select the Keyboard Shortcuts tab in your Keyboard preferences, then click on Services in the left hand list. 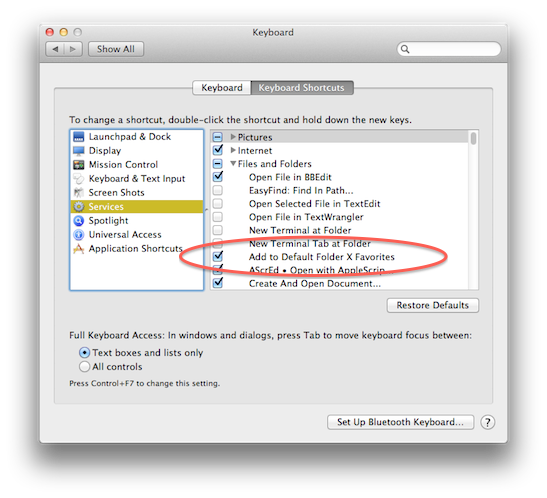 In the right hand list, locate the Files and Folders section and find Add to Default Folder X Favorites. Turn on the checkbox next to it. 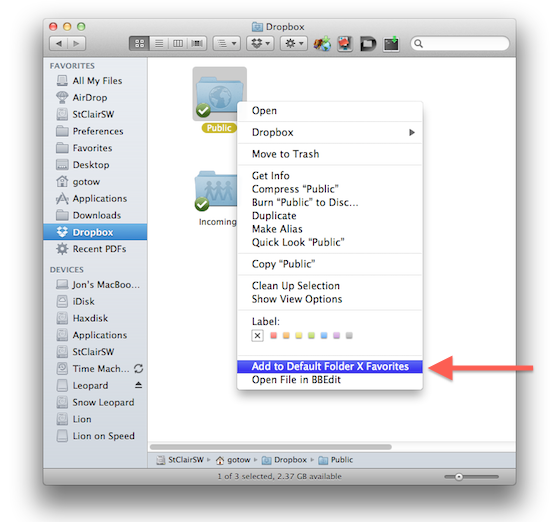 Now, whenever you select a folder in the Finder, you can right-click (or control click) on a folder and add it to your Default Folder X favorites.